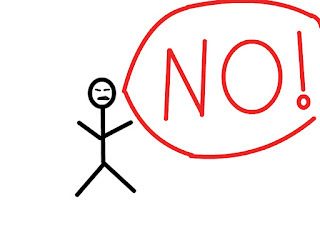 Welcome to Katfrog's Corner: Golden Rules for Saying "No"
Golden Rules for Saying "No"
Child's View of the word "No"
Children test out their boundaries and rules as a normal part of growing up. Enforcing the boundaries and rules, while occasionally stressful, leads children to feel safe and protected. 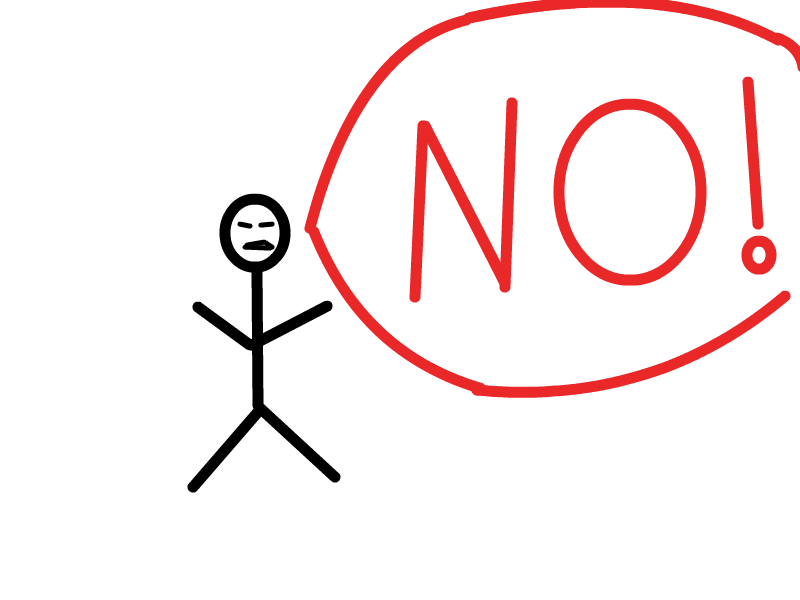 One of the common ways a parent administers the boundaries and rules of their family is use the simple word, "no". But the aftermath of that statement ranges from a simple pout to full blown temper tantrums. Never back down from a "no". - Kids learn quickly whether a parent can be whined (or pestered or begged) out of a "no" answer. So if you say "no", you have to stick to your guns, especially with young children (who tend to test this more). These rules actually help set up and enforce one of an important parent boundaries. I call it: "The Mommy said No, Do Not Ask Again or There Will Be Consequences." boundary. Okay, there is a third rule that applies, but this one applies to every parenting situation - the United Parental Front (or UPF). But that's a different post. Excellent rules! I have seen so many parents say no and then go back on it so the kids learn that they can get away with anything if they whine enough or keep at it. Exactly! I admit, as my kids get older and I want to teach them how to debate, I've had to learn not to immediately say "no" to allow them a chance to express their opinions and such. Because once the "no" is issued, there is no turning back.